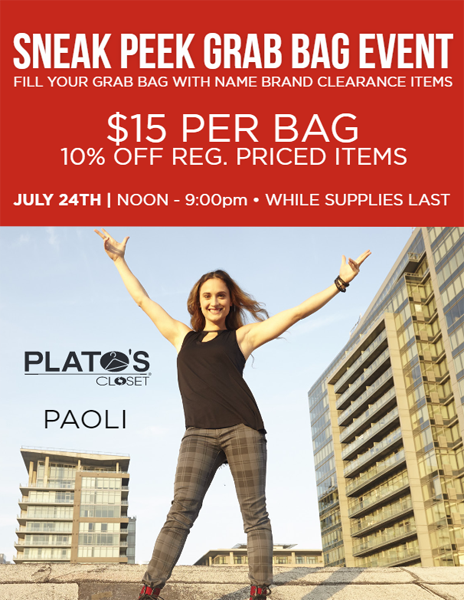 Visit Plato’s Closet on July 25th for the “It’s In the Bag Event.” Fill a bag with clearance clothing and pay only $15/per bag. 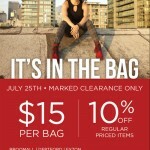 In addition, take 10% off all regular priced items. 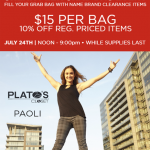 Plato’s Closet is also having a Sneak Peak Grab Bag Event on Friday (July 24th), with the same deals, so be sure to stop in a day early for the same great savings savings! 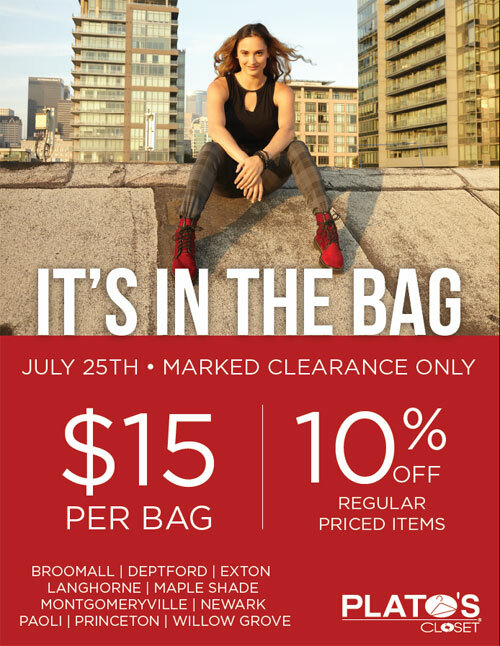 Click on the thumbnails below for the sale flyers!